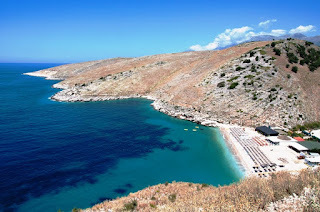 Albania will definitely be the travel destination of choice for tourists all over the world in 2016. The number of tourists visiting Albania is increased significantly during 2015. According to Albanian Institute of Statistics, (INSTAT) tourists from South Europe comes in first place. During the summer 2015 there were about 1 432 601 tourists from South Europe. In the second place there are tourists from West Europe, about 137 811 tourists, and in the third place are East and Central Europeans about 83 892 tourists. The statistics belongs to third quarter of the last year. The number of Americans visited Albania last year was 57 125 followed by Asian people 13610. Albania has been nominated as one of the best destinations to travel for 2016 from the best travel media and bloggers all over the world. Albania is safe place, with plenty of places to explore and admire. It is appreciated for the beautiful beaches, wonderful historic and archaeological places, but also for very unique cities, like Berat and Gjirokastra protected by UNESCO. Albania is not involved in the immigrants drama, the improved infrastructure and friendly people make it an appealing destination for 2016. Talking to tourism actors, we are sure that 2016 will be a better year for tourism in Albania.